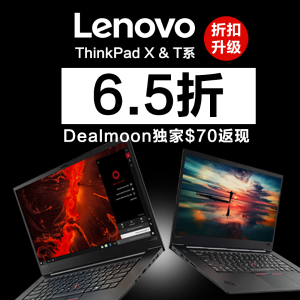 Lenovo US offers Single Day ThinkPad X&T Series 35% Off via coupon exclusive code DEALMOON35. Click to see rebate form. Go to Rebate Center to claim your rebate. Print the rebate application at Rebate Center. Mail in all the appropriate Documents. The order has to be placed 11/5-11/15.